A global provider of professional information, software solutions and services. The role and definition of authorship in scientific and medical publishing has become increasingly complicated in recent years. In most other forms of publishing – social sciences, humanities, legal – we assume that three, perhaps four, authors collaborated in the writing of the work. However, the nature of scientific research and reporting means that “authorship” no longer fits into a neat category. To elaborate, a researcher who didn’t write the text of a paper can still be considered an author if her or she contributed substantially to the conception of the work, or the analysis of the data. Access to the Internet has made sharing information and collaborating on projects far simpler, and many authors can now work closely with colleagues in different countries. With such a proliferation of collaboration and co-authorship in academic writing, it becomes harder to differentiate between a “contributor” and an “author.” Moreover, the pressures of funding applications, securing tenure at an academic institution, and the requirement to meet publication quotas all play their part in pushing contributors to demand a co-authorship accreditation. During the Renaissance, the idea of an author’s ownership of a text came into being, particularly with the Statute of Anne (1710), which conferred ownership to authors rather than publishers; it is no surprise that this development coincided with the rise of the printing press. This early form of copyright did not apply to content, 8 but it was an important step toward the idea of intellectual property developed in the Romantic period. The Romantic Movement emphasized the importance of the individual, which led to intellectual and creative copyright laws being consolidated during the 19th century. 8 It wasn’t until postmodernist critiques of literary theory, in the middle of the 20th century, that ideas of individualism were challenged. In particular, Roland Barthes rejected the Romantic idea of individualism and ownership. In Barthes’ now infamous essay “The Death of the Author” (1967), he argued that authorial intention should be separated from the text. Barthes decentred the author, going against the traditional theory that an author’s history and experience could be used to enrich our understanding of his or her work. Throughout history, writing has commonly been regarded as an individual act. People like to associate one paper, or idea, with one name. Examples of this include Edward Jenner and the production of the first vaccines, Alexander Fleming and the discovery of penicillin, and Marie Curie and the development of radiotherapy. In recent years, however, as scientific papers are increasingly authored through collaborative efforts rather than individuals, this has opened up the dilemma of first authorship. In 1996 it was suggested that the tradition of citing authors should be restructured to parallel film credits and create a hierarchy of authorship, contributors, and acknowledgements.11 This concept would not redefine authorship but instead recognize important contributions in another way. While this idea is attractive, it doesn’t solve the problem of who to list as an author and who to list as a contributor. One potential solution was recently proposed by BioMed Central to implement “Author Contributorship Badges” as a method of showing the exact contribution each author made to a paper. 12 BioMed Central chose to roll this scheme out in their open-access, open-data journal, GigaScience. 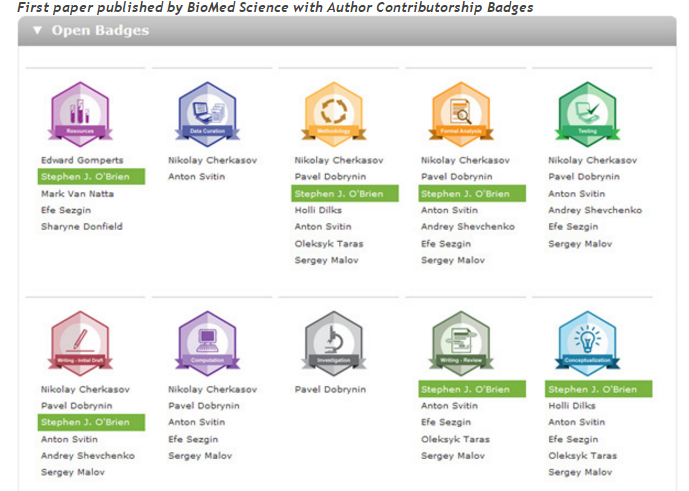 All papers published from October 1, 2015, will include the badge system (see First paper published by BioMed Science with Author Contributorship Badges). 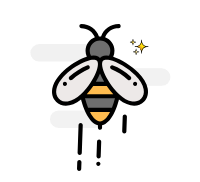 While authors are still listed in the traditional format, a link to the “Open Badges” appears on the website, and ten potential roles in the creation of an article are represented by ten badges, such as “Data Curation,” “Methodology,” and “Writing Review.” Each badge has a list of authors who contributed to that specific role, and an author can be listed under more than one role. Amye Kenall, associate publisher at BioMed Central, states: “Author Contributorship Badges enable people and organisations to capture the types of skills, knowledge and behaviours that we value, but often find difficult to recognise with traditional credentials.” 13 The badge system embraces the ICMJE definition of authorship in a refreshing format. Each point in the ICMJE definition has at least one badge. Should it prove successful, the badge system could be a significant turning point in how authors and publishers define authorship. One of the most significant changes in the publishing industry has been the shift toward digital media and the steady decline of print. Authors are no longer being asked to write a finite article for a journal. For example, when an author contributes an article to a journal, the article will be published in the print and digital versions, shared on social media, and potentially used in promotional material. This notion of multiple destinations is even more evident when considering blogs. When an author writes a blog, he or she is writing with the knowledge that the work can be shared, critiqued, and linked in numerous ways, making it not just a blog post or a text but part of a huge textual network. A text is no longer a finished article; it is an “ongoing conversation,”14 a fluid movement with a number of versions and stages. It lives under the assumption that any text, online-only or complimentary to a print component, should constantly be changing. When putting a text on the Internet, particularly in blog form, the text is immediately visible for public consumption and critique. A blog creates a forum for all views, and the result combines numerous views on one topic, while adding commentary to create a new text. The fluid nature of blogs and other online formats has introduced the idea of “versioning.” This is traditionally defined as “the creation and management of multiple releases of a product, all of which have the same general function but are improved, upgraded, or customized.”15 The same, or an alternate, author takes an article and makes changes. He or she adds to it, improving it and creating a timelier and more informative piece; more authors can also be added to the text. 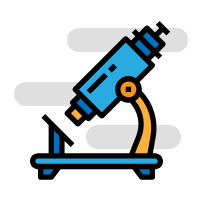 Versioning allows readers to see a scientific process not just through the words of a text, but through the progression of the text itself. With this change of process, the act of writing becomes less about the act itself, or the completion of a piece of work, and more about development and discovery. This, in turn, could mean that authors will no longer be defined by specific works, but by one work as a whole. However, the prospect of a more fluid style of writing and authorship will inevitably lead to a number of potential problems, namely plagiarism. The traditional notion of plagiarism is that all those involved in the writing of a paper are named as authors, giving due credit for anything they may have borrowed or used in their text. With a more fluid, ever-evolving text, plagiarism (whether intentional or unintentional) is inevitable and perhaps unavoidable. The idea of a constantly reworked text also raises a number of questions about the validity of the work and the contributions of different authors – are the authors involved sufficiently in the work to be considered as such? Could they be considered as “curators” instead? Is the work more about quantity than quality? Who is chosen as the “first author” after so many changes to a paper? How will original authors feel about their works being up for adaptation and public consumption? Most importantly, with articles constantly changing, how will publishers and readers assure their legitimacy? As we move further into the digital age, these questions require discussion in order to redefine the concept of authorship. In many ways, it seems as though we are trying to embrace the new freedoms that digital media allows while maintaining strong traditions in print and also trying to identify the most modern definition of authorship. Although the “Author Contributorship Badges” offer an appealing solution it is, after-all, online-only. What is certain is the need for the academic and publishing communities to continue their discussion on the definition of authorship, ensuring clarity and flexibility in an increasingly digital age. In the meantime, the ICMJE guidelines provide a definition of authorship that guarantees recognition, both by authors and for authors. In time, they will surely be modified to reflect digital trends, but for now, they clearly delineate what it means to be an author. Goetze, Jens P.; Rehfeld, Jens F. The men who stare at science. Cardiovascular Endocrinology 2015; p. Published ahead of print. Hamilton E, and Cairns H (Translators). Plato. The Collected Dialogues: Including the Letters. Princeton, New Jersey: Princeton University Press; 1961. Holland T (Translator). Herodotus: The Histories. London: Penguin Classics; 2013. Anderson J. Plagiarism, Copyright Violation and Other Thefts of Intellectual Property: An Annotated Bibliography with a Lengthy Introduction. Jefferson, North Carolina and London: McFarland & Company, Inc., Publishers; 1998. Leung, W. et al. Drosophila Muller F Elements Maintain a Distinct Set of Genomic Properties Over 40 Million Years of Evolution. G3: Genes|Genomics|Genetics. 2015. Woolston, C. Fruit-fly paper has 1,000 authors. Nature. 2015. Godlee F; Definition of “authorship” may be changed; BMJ. 1996 Jun 15;312(7045):1501-2.